This was our second time here. First time we had the Steak and Egg and while delicious it was a small portion. We also had their famous Bacon Cheddar Buttermilk Biscuits. My husband wanted to try their Sticky Buns with Pecan and Brown Sugar and he liked it. 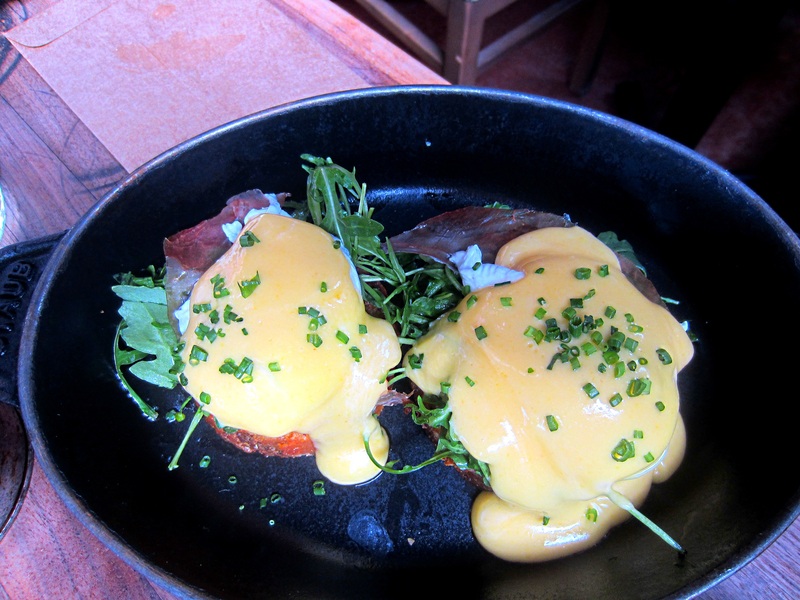 This time I had the Eggs Benidict with Bacon Cheddar Biscuit, Arugula, La Quercia Tamworth Prosciutto, Hollandaise . It was a satisfying dish and very tasty. My husband on the other hand ordered a dish that I knew would not fill him up. 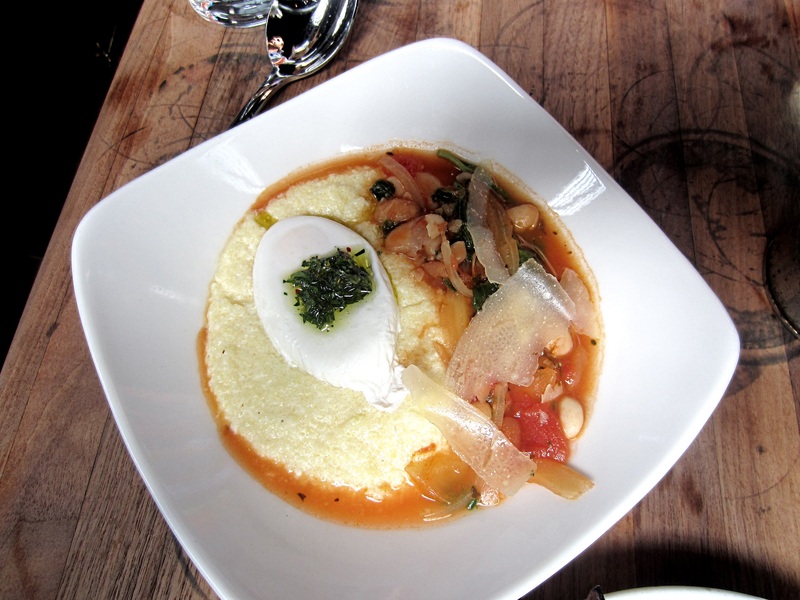 Poached Egg, Tomato, White Bean Ragout, Creamy Polenta, Bianco Sardo was more like a diet food and I had to give him some of my food. He was complaining all day about his dish. This happens when he does not listen to me. 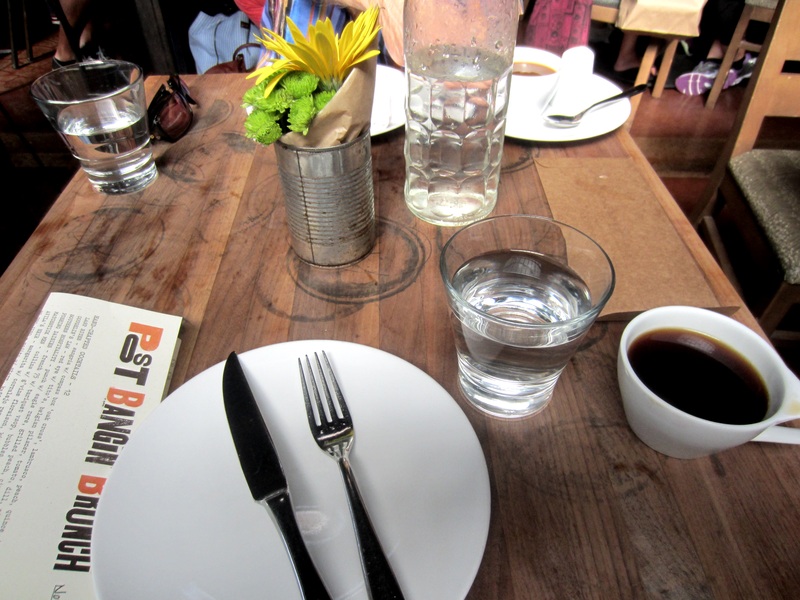 They Charged us $4 for coffee that was not that great. I feel this place is a little overpriced even though some of their food is delicious. I would rather go next door to Fishing With Dynamite and feast on the delicious Crab Cake.